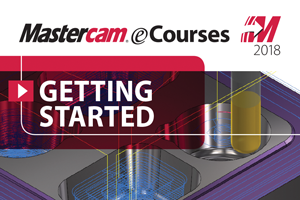 This free eCourse introduces users to Mastercam 2018 and explains many of the foundational concepts used in our other Mastercam videos, books, and eBooks. 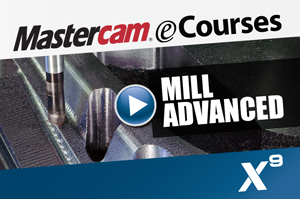 To access this course, click the "Buy Now" button to the right (don't worry, you won't be charged anything!) 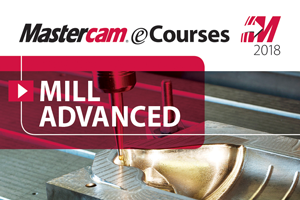 and enter your contact details. 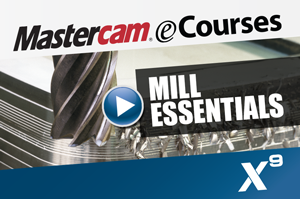 This is only to track interest and viewership, your information will not be sold or used for marketing purposes. 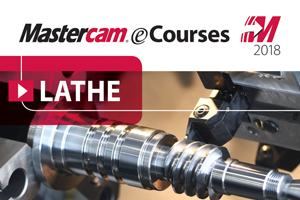 Recorded for In-House Solution by Colin Gilchrist of Gilchrist Consulting Services, this eCourse is offered free of charge to help you get started with Mastercam 2018 and to demonstrate the eMastercam.com eCourse system and quality. 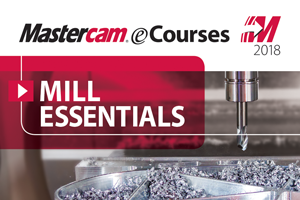 For more great materials, visit our eStore for books and eBooks, buy more eCourses, or subscribe to eMastercam.com to get access to all eCourses and eBooks for one low monthly fee! 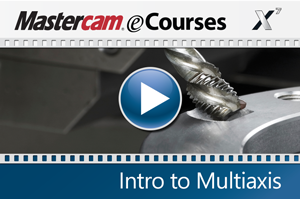 You can also download a collection of free PDF books. 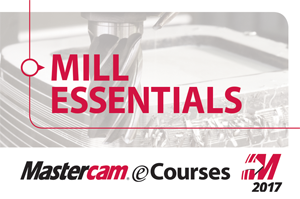 This course is designed to familiarize you with the Mastercam for SolidWorks user interface (UI) and provide the resources you need to become proficient with Mastercam for SolidWorks. 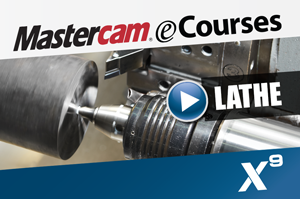 This eCourse will give you access to the free Mastercam 2018 for SolidWorks home learning edition/demo software. 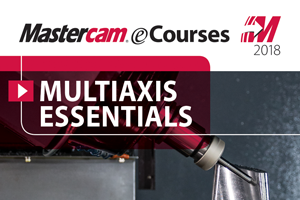 However, to install it you must already have a full seat of SolidWorks 2017. 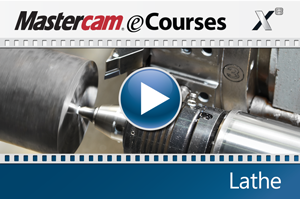 To acquire a seat of SolidWorks you will need to speak to your local SolidWorks reseller. 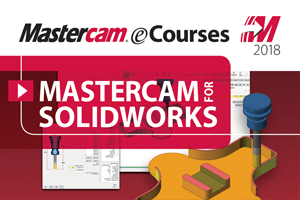 eMastercam does not sell or distribute licenses of SolidWorks. 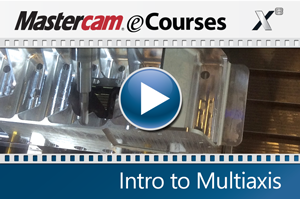 Below you will find an overview of the eCourse video content organized by tutorial and respective video segments. 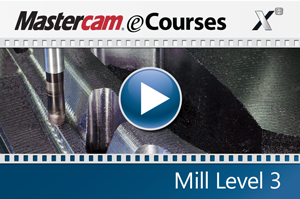 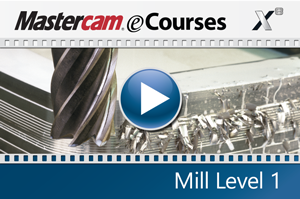 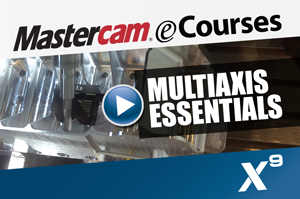 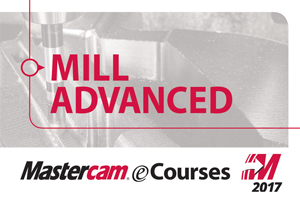 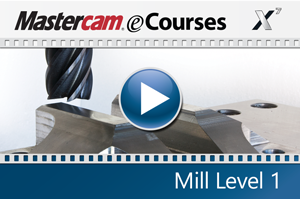 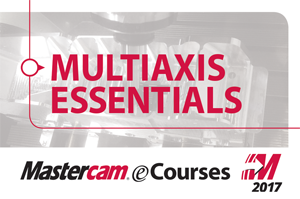 The Mastercam X7 Multiaxis eCourse is intended for the advanced Mastercam user looking to learn Mastercam Multiaxis programming. 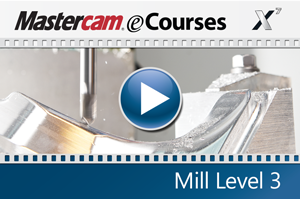 A firm grasp on both 2D and 3D machining is required and can be attained by completing the Mill Level 1 and Mill Level 3 Training Tutorials or eCourses. 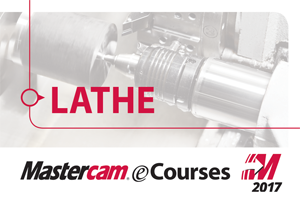 We also describe how to verify the toolpaths using the new Machine Simulation module that combines toolpath backplot mode and material removal mode with collision detection.